The United States Immigration and Customs Enforcement agency has issued detainers for all four adults charged in connection with an apparent gang-related killing in Fairfax County, including an 18-year-old Reston resident. 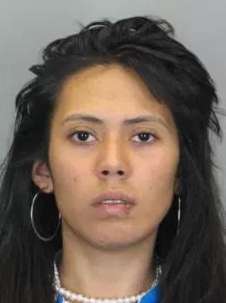 Cindy Blanco Hernandez, 18, of Winterthur Lane in Reston, is among the 10 people ages 15-21 charged in connection with the death of 15-year-old Damaris Alexandra Reyes Rivas of Gaithersburg. Hernandez faces charges of abduction and gang participation in the case. Five of the other suspects face murder charges. Six of the charged individuals are juveniles. Hernandez and the other three adults in the case — Wilmer A. Sanchez-Serrano, 21, of no fixed address; Aldair J. Miranda Carcamo, 18, of Springfield; and Jose Castillo Rivas, 18, of Springfield — have had detainers issued for them by ICE. According to Carissa Cutrell, public affairs officer for the Department of Homeland Security, a detainer is issued when a person in custody is either in the United States illegally or has violated the terms of their legal status in the country. Cutrell said she could not provide specific details about the case. She said in most cases, suspects are sent through the immigration court process, and a judge’s orders — potentially, removal from the United States — would be executed. “There is a whole process that happens between us issuing that detainer and the individual being removed from the United States,” she said. The Fairfax County Police Department is asking anyone with further information about the case to contact them at 703-691-2131, use Crime Solvers or text “TIP187” plus a message to CRIMES(274637).